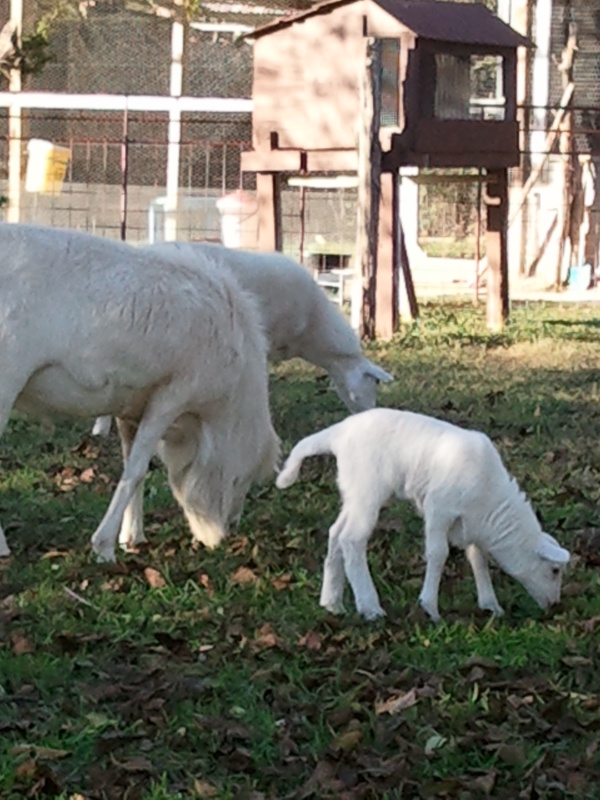 St. Croix Hair Sheep are a medium-sized sheep which is naturally polled, which means that they do not grow horns. They are mostly all white, although some may have brown or black spots on them. This breed of sheep has no natural predators on its native St. Croix island, and so they do have to be protected more than some breeds of sheep. They are generally easy to care for being parasite-resistant and resistant to hoof problems. They browse well and are relatively easy to keep fenced-in. The meat of the St. Croix Hair Sheep is known to be tender and mild. Mustard Seed Farms breeds St. Croix hair sheep, looking to select for the best natural characteristics. We sell our breeding ewe and ram lambs. Mustard Seed Farms does have some St. Croix hair sheep crosses which are bred mainly as meat sheep. We generally have lambs for sell in the late spring and late autumn. 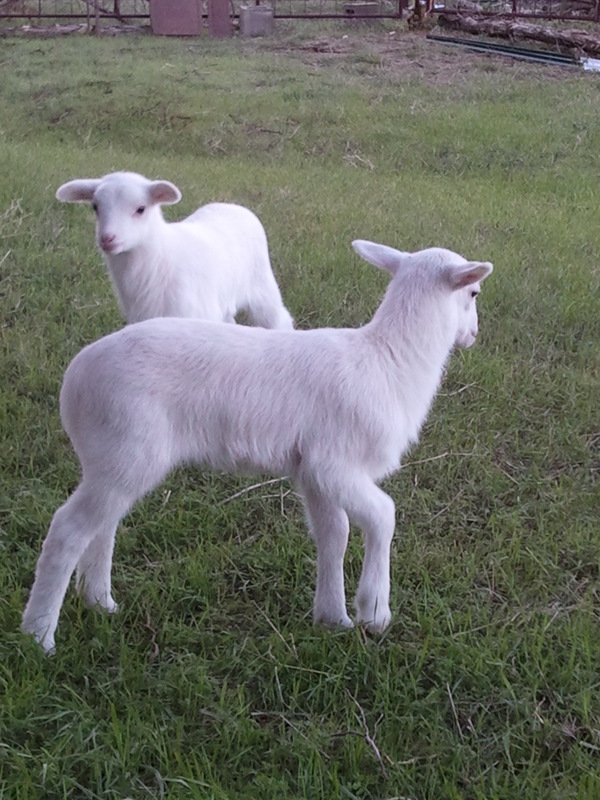 They are great for improving the characteristics of your Dorper or other sheep breed and are even great as pets!